(New York, NY) –HIM announces their first U.S. headline tour in support of their forthcoming new studio album, Tears On Tape. Dubbed “Tears On Tour,” the May 2013 run will make scheduled stops in both Los Angeles and New York City (tour dates below). Tears On Tape will be released on April 30th on Razor & Tie in North America/Canada. A special pre-sale for the House of Blues, Ticketmaster, and Citibank will start on Wednesday February 20th and tickets will go on sale to the public on Friday February 22nd. Tickets will be available here: http://www.ticketmaster.com/HIM-tickets/artist/872970?tm_link=artist_artistvenue_module. Tears On Tape is the “Love Metal” band’s eighth official album and was recorded in their home country with long-time producer Hiili Hiilesmaa and once again mixed by long time-band associate, Tim Palmer (U2, Ozzy Osbourne, Pearl Jam, Robert Plant). first Finnish act to achieve platinum sales in the U.S. To date, HIM has sold a combined 1.75 million albums and over 1 million digital tracks in North America. 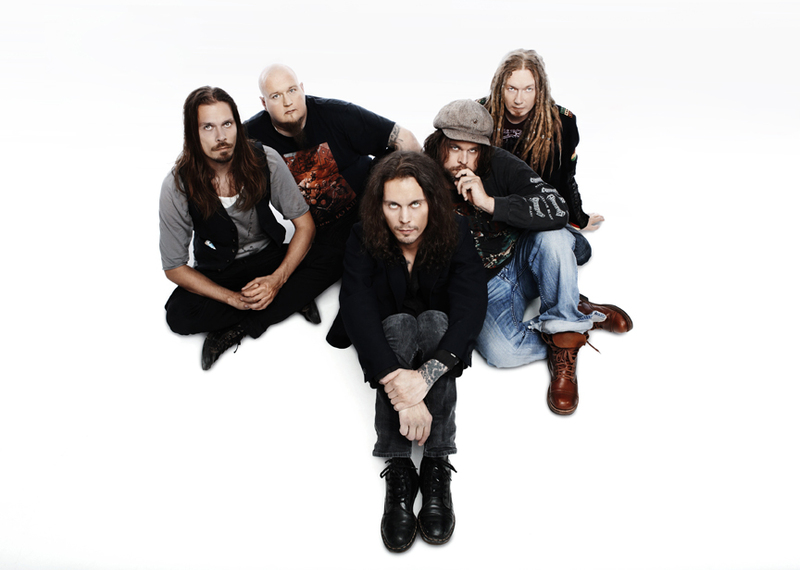 HIM’s current lineup is Valo(Vocals), Linde (Guitars), Migé (Bass), Burton (Keyboards), and Gas (Drums). A formidable live act, the band is also confirmed to perform at this year’s U.K. Download Festival in mid-June.